A prenuptial agreement (or ‘prenup’) is an agreement made before a marriage, which attempts to set out the distribution of assets in the event of a divorce. It is similar to a founders’ agreement in two respects—firstly, both are typically drafted prior to entering a partnership. Secondly, both involve preparing an ‘exit strategy’ in the event of the partnership’s dissolution. These similarities between a prenuptial agreement and a business contract may give the impression that prenups are only for individuals who treat their marriages like business transactions.. Admittedly, the motivation to protect one’s wealth is the most common reason for getting a prenuptial agreement. Results from a survey conducted by the American Academy of Matrimonial Lawyers (AAML) shows that 80% of respondents have chosen “protection of separate property” as their top reason for preparing a prenup. Generally, prenuptial agreements are held by owners of family businesses and valuable family heirlooms. The agreement typically includes terms that would allow them to retain ownership over their assets in the event of a divorce. According to the president of AAML, prenuptial agreements are less applicable to individuals who make less than $100,000 a year and more relevant to those who have assets over $200,000. Nonetheless, less wealthy individuals can also stand to benefit from preparing prenuptial agreements. Prenuptial agreements can also be used to protect yourself against the unforeseen consequences of a divorce. For instance, you may unwittingly become liable for your former spouse’s debt. Even after your divorce is finalized, you may face creditors going after your marital property. A prenuptial agreement can limit your liability with a clause that you agree not to assume your spouse’s debts during your marriage and divorce. Aside from wealthy individuals, divorcees represent another group of typical prenup holders. After going through a divorce once, their experience has taught them to plan ahead for the challenge of dividing matrimonial assets. A paper published in the Singapore Academy of Law Journal cites instances of Singaporean men who have found their divorce to be so “traumatic” that they are only prepared to remarry after signing a prenuptial agreement. It is understandable that they would try to avoid repeating their past mistakes in order to focus on preparing for a successful second marriage. Divorcees who have children from their first marriage can also use a prenuptial agreement to protect their children’s future well-being. They can do so by negotiating with their future spouse on terms that would establish their future spouse’s obligations pertaining to the care of his or her stepchildren. Married couples can submit their prenup for consideration when applying for divorce in the Singapore court. Under Section 112 of the Singapore Women’s Charter, the court will evaluate any agreement between both parties regarding “the ownership and division of the matrimonial assets made in contemplation of divorce” in deciding on the division of matrimonial assets. From the court’s perspective, the terms in the prenup can be used as a reference point for the couple’s intensions in dividing their matrimonial assets. For the couple, preparing an agreement in advance can not only reduce the time needed for negotiations, but also minimize the possibility of disagreement and contention. In other words, a prenuptial agreement can save a couple from engaging in a contested divorce that would cost them more time and legal fees. Why are prenuptial agreements less common in Singapore? Despite the many advantages, prenuptial agreements are less common in Singapore because while they are valid in Singapore, they may not be strictly enforced as it might be in other countries like the US, Australia and Russia. During divorce proceedings, a prenup’s enforceability largely depends on the court’s assessment of the terms and the circumstances of the case. Just because a couple have executed a prenuptial agreement does not mean that it will be enforced strictly by the word. It is trite law (common knowledge, obvious) that the ultimate power resides in the Singapore Court to order the division of matrimonial assets in a way that the Court thinks is just and equitable. Before a prenuptial agreement can be considered by the Court, it must generally comply with the various legal doctrines and requirements that are part of the common law of contract. The prenup will also be scrutinized for evidence of fraud, coercion, intimidation, a failure of both party to fully disclose their finances and lack of legal representation at the time of signing the agreement. As such, in arriving at its decision, the Court will have regard to all the circumstances of the case, including the terms of prenuptial agreement before deciding how much weight to accord to the terms of the prenuptial agreement. It is pertinent to note that the Court will certainly prevent any attempt by the Husband at circumventing his obligation to furnish adequate maintenance by disposing of his property. In so far as the prenuptial agreement relates to the maintenance of the children, the Court will be especially vigilant and will be slow to enforce agreements that are apparently not in the best interests of the children. In general, for prenuptial agreements relating to custody, care and control of the children of the marriage, there is a presumption that such an agreement is unenforceable unless it is clearly demonstrated by the party relying upon the agreement that agreement is in the best interests of the child or the children concerned. By Singapore law, prenuptial agreements are taken as only one consideration in determining the division of matrimonial assets. However, this requirement would not apply to a foreign prenuptial agreement that is valid by its proper law and is not repugnant to or does not otherwise contravene any overriding public policy of Singapore. Non-Singaporeans with a prenuptial agreement based on foreign law have a greater chance of getting their prenup enforced. This was the case for a Swedish wife and Dutch husband who had decided to divorce in Singapore in 2005 (TQ v TR ). Before moving to Singapore, the couple had married in the Netherlands and had prepared a prenup based on Dutch Law. As stated in the official write-up for their case, the couple’s foreign nationality and the choice of their prenup’s jurisdiction were significant factors in allowing their prenup to be enforced in its entirety. That having said, the Singapore Court also retains a residuary discretion, to give some weight to prenuptial agreement that does not comply with one or more of the legal doctrines and requirements under the common law of contract. Prenuptial agreements inevitably come with the limitation of being drafted before a marriage. When a divorce does happen, couples may find it difficult to convince the court that their present intentions are still accurately reflected in the terms of the prenup. In contrast, postnuptial agreements drafted when the marriage has broken down may hold more weight in the Singapore court. An example of a postnuptial agreement is a separation agreement made when the marriage has failed and when the parties have either gone their separate ways or are proposing to do so. It is written in Surindar Singh v Sita Jaswant Kaur  that as postnuptial agreements cater to “to the immediate needs and desires of the parties,” they are generally seen as more significant and relevant than prenuptial agreements. In some cases, it may be easier to enforce a postnuptial agreement as opposed to a prenup. However, an agreement’s enforceability ultimately depends on circumstances rather than when the agreement was drafted. Speak to your partner early–Depending on the complexity of the agreement, a prenup can take a few weeks to several months to draft. Get a quotation for the cost of your prenup based on the value of your and your partner’s assets–How much both of you have determines the complexity of your agreement. A complex agreement would require longer negotiations and a detailed investigation of your respective finances, thus increasing the cost of your prenup. Make full disclosure of your finances in discussions–Full and accurate financial disclosure is required to ensure that the prenuptial agreement is valid. Seek independent legal advice from a qualified lawyer and have your partner do the same–Doing so would ensure that both of you are aware of your rights when signing the agreement. Sign the agreement at least 28 days before the wedding–Signing early could indicate that both parties’ rights were not compromised by ignorance or emotion when the agreement was finalized, which may encourage the court to uphold the terms of the prenup. 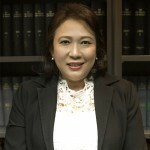 Get a quotation from Dorothy Chai or you may wish to speak with other lawyers with experience in family law with an Asia Law Network Quick Consult where a lawyer will call you back within 1-2 days for a transparent, flat fee starting at S$49 to answer your questions and give legal advice. This article is written by Ms. Dorothy Chai from Dorothy Chai & Mary Ong Law Practice and AsiaLawNetwork.com content strategist Joseline Yu.